A pair of views of Patagonia on a single sheet, from the atlas of Prevost d'Exiles' influential travel book, Histoire Generale des Voyages. The upper view is of Patagonia "a little to the north of Bay St. Julian," in what is now Argentina's southern Santa Cruz province. 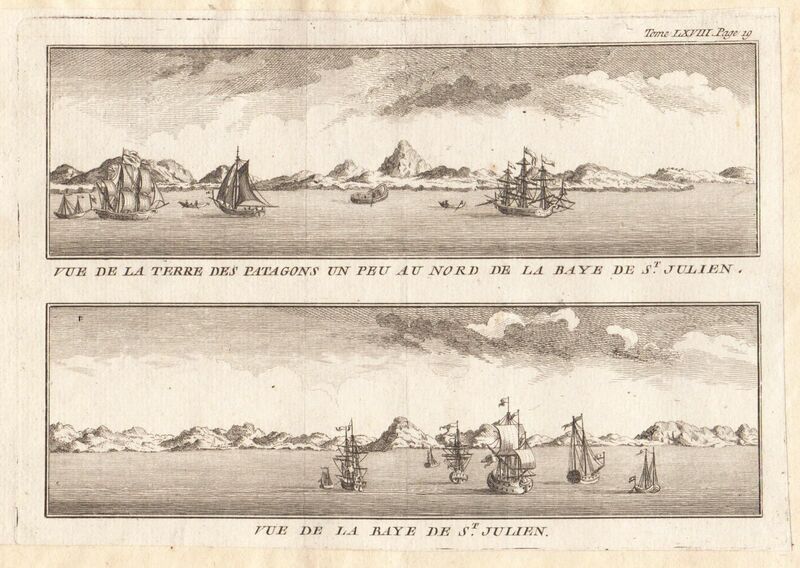 The lower view is of St. Julian Bay.